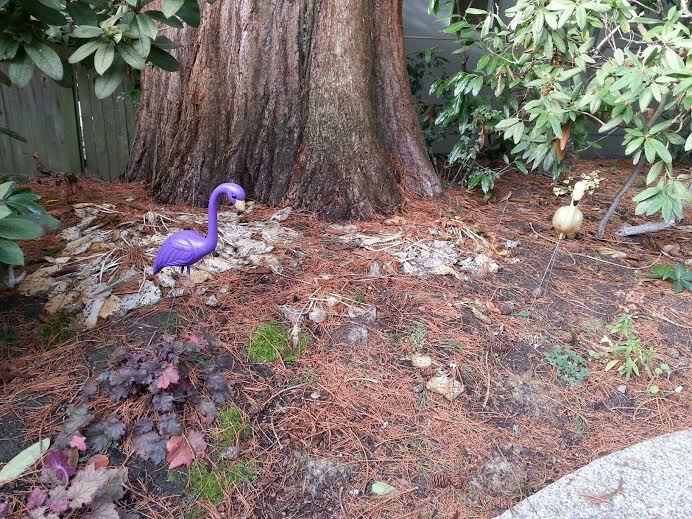 Looks like we traded UW Husky flamingos for hostas! 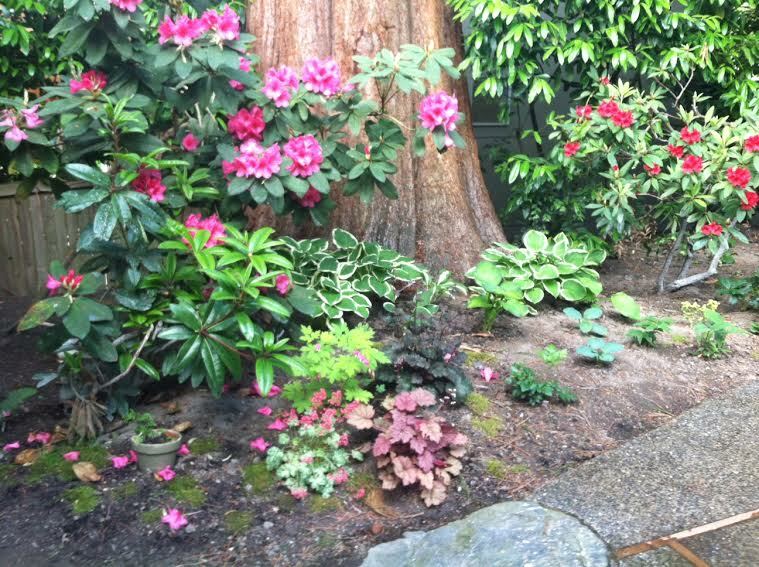 Where did all of those beautiful hostas go!? 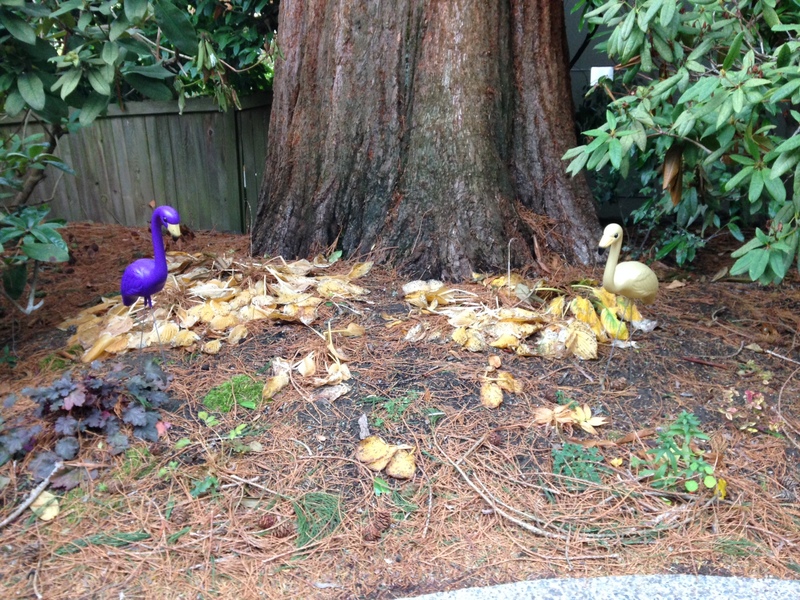 I know from previous experience that hostas die back in the winter, so I was prepared for the decomposition and their disappearance. In fact, I’ve taken my sweet time planting most of these hostas and have had them in their pots for years. This is how it usually goes: Clean up the yard in the spring, look at the empty pots as I’m taking them out to the yard waste bin, see new plants sprouting! So, they stay in their pots another year. Summer 2013 was a big time for us in that we actually freed the hostas from their pots and planted them! 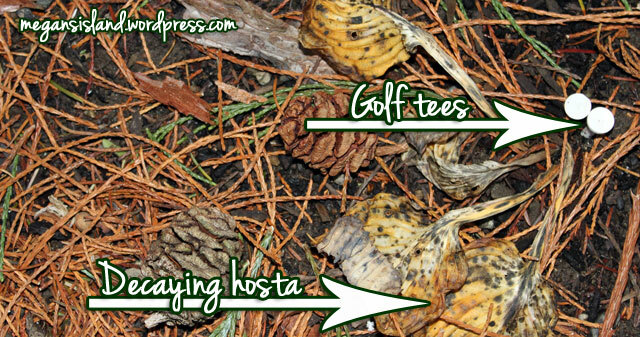 Knowing that the hostas and a few of our fern varieties will disappear until the spring and that I’ll forget where I planted them, I bought some golf tees (~$5 for 100 of them from Target) to put in the ground, so I’ll know where not to plant next spring. Pretty inexpensive solution, right? As your fall gardens start to decompose, I encourage you to get some golf tees of your own to help with your spring planting.